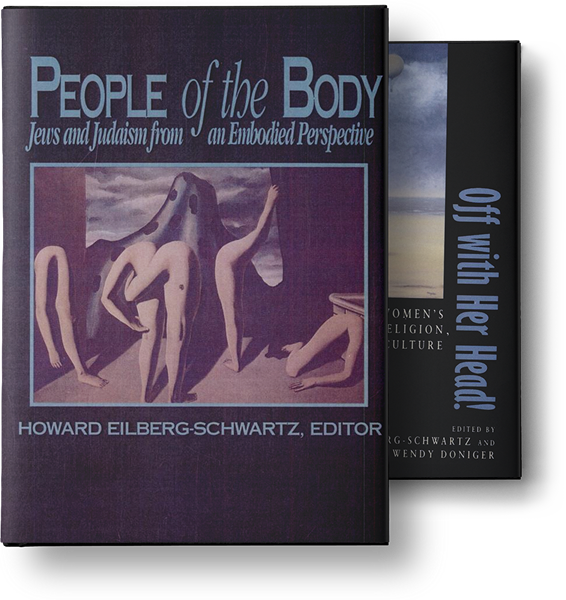 Edited Volumes - Howard I. Schwartz Ph.D.
People of the Body argues that because Jews and Judaism were associated with “higher” religions such as Christianity, aspects of embodiment were downplayed and ignored. These essays by various scholars explore the various dimensions Jewish embodiment in various cultural and historical moments. Off with Her Head: The Denial of Women’s Identity in Myth, Religion and Culture. Edited with Wendy Doniger. (Berkeley: The University of California Press, 1995). Women are often associated with the body and therefore the female head is a rich site of symbolism raises questions about the relationship of the female and femininity to the mind and thought. These essays across various religious traditions explore how women’s heads have been eroticized and decapitated in symbolism and ritual.